Look it what Mr. I found! While cleaning Mr. Ivriniel was cleaning his desk, this booklet turned up in a pile of papers. 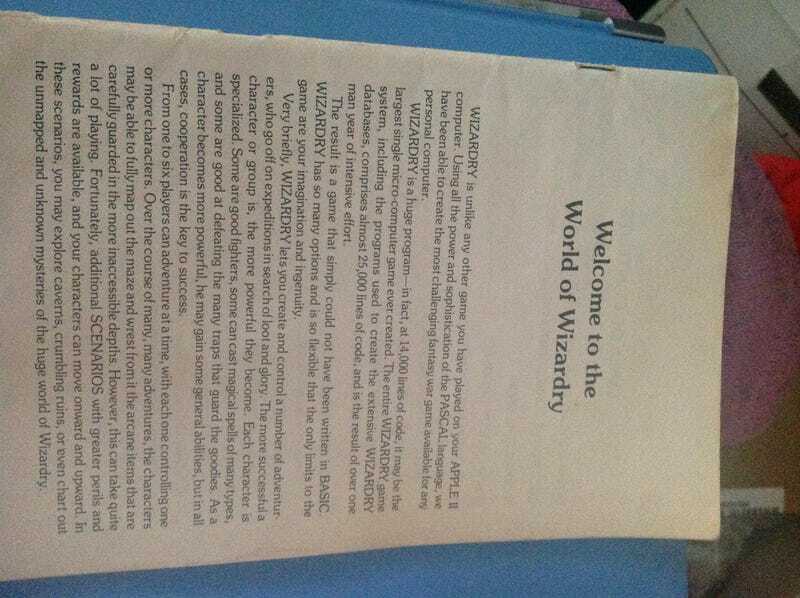 This is the instruction manual for Wizardry, a role playing game for the Apple II that was released in 1981. I've never seen a manual that boasts about the programming language the game was written in before.